Fudgy, chocolate brownie selection box. 24 brownie bites, choose up to three delicious flavours per box. 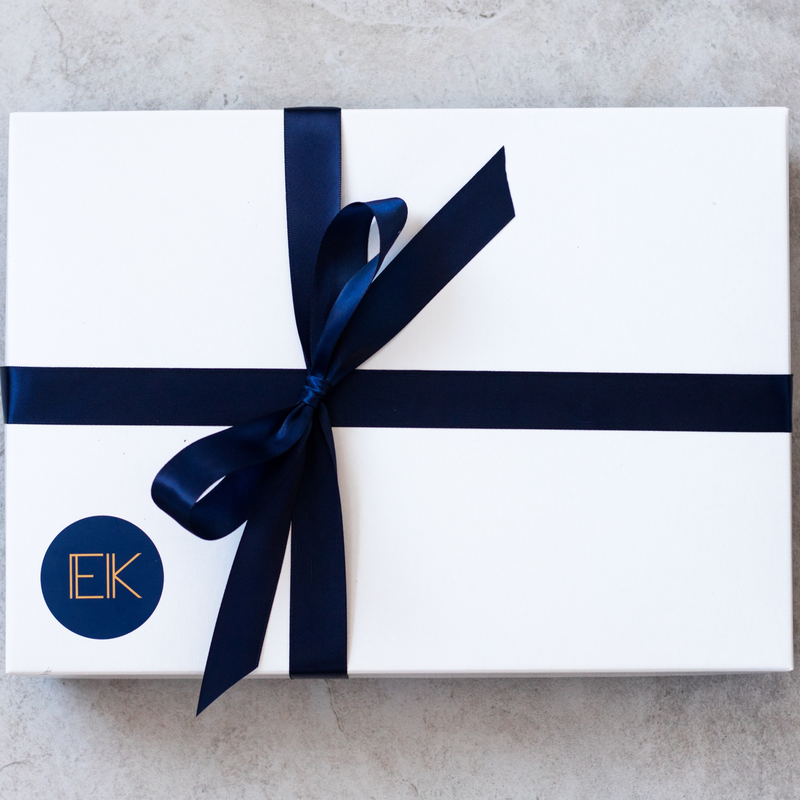 Wrapped up in a beautiful gift box & ribbon with the option to add a personal message. 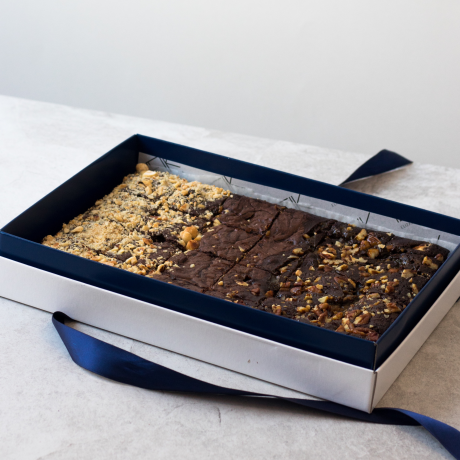 These brownies are baked fresh for your order and will keep for up to a week if stored in an airtight container in a cool place. Handmade with quality ingredients: the best butter, free-range eggs, organic flour, fair trade sugars, chocolate and cocoa. We send all parcels with 1st class post. We send orders on Tuesdays, Thursdays and Saturdays. We need 24h notice before dispatching your order. Get in touch if you need it sooner. Butter (MILK), EGGS, White Sugar, Soft Brown Sugar, Cocoa, Wheat Flour (GLUTEN). British butter & free-range eggs, fairly traded cocoa and sugars, British Organic flour. MILK, EGG, CEREALS CONTAINING GLUTEN. Baked in a kitchen which handles cereals containing gluten, milk, egg, soya, sesame, peanut and nuts. My friend very kindly ordered your vegan brownies for my birthday. They are probably the tastiest brownies I have ever had - vegan or otherwise! Delicious Brownies - highly recommended! Sent as a surprise for my daughter. She really loved them! Generously sized slices. Speedy delivery. Highly recommended - will order again! Loved the service! Ordered for someone else as a little pick me up - apparently the taste was phenomenal. Delivery was on time also. So pleased, will definitely order more for myself and others!!! Hiccup with the delivery being late, but it wasn’t the bakery’s fault. The gift was really appreciated and apparently the brownies were out of this world. Arrived very quickly and absolutely deeeelicious! Great brownies, very quick delivery! This product is dispatched by EK Bakery. This item has a shipping weight of between 1,500g and 1,500g depending on the options selected.